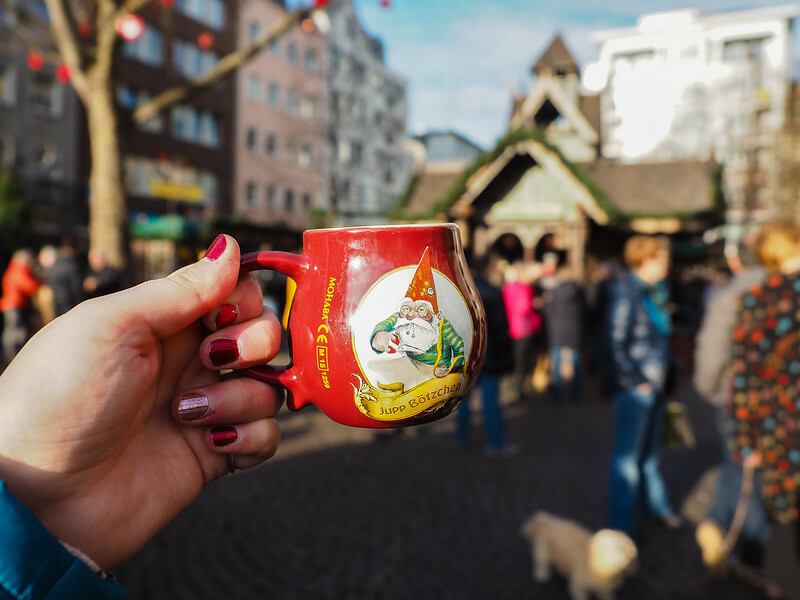 Christmas Markets with Viking River Cruises: What’s It Really Like? 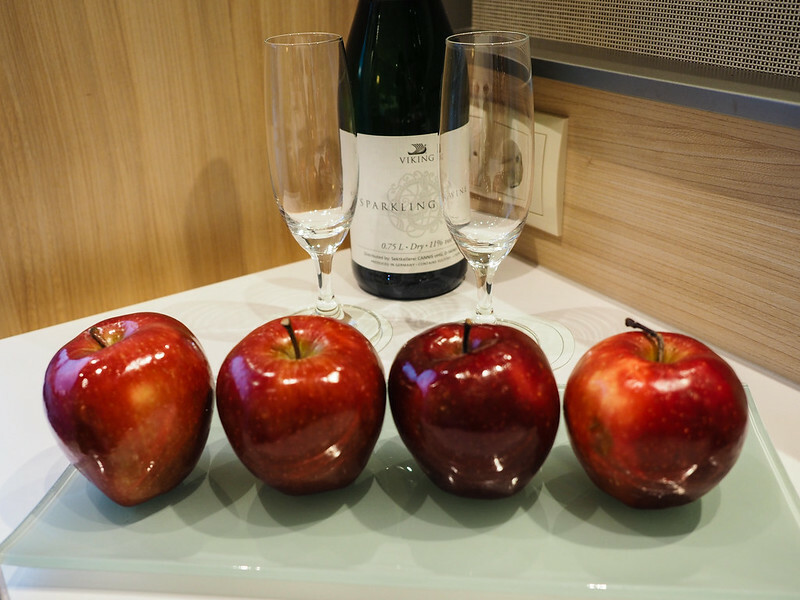 Home » Blog » Cruising » Christmas Markets with Viking River Cruises: What’s It Really Like? 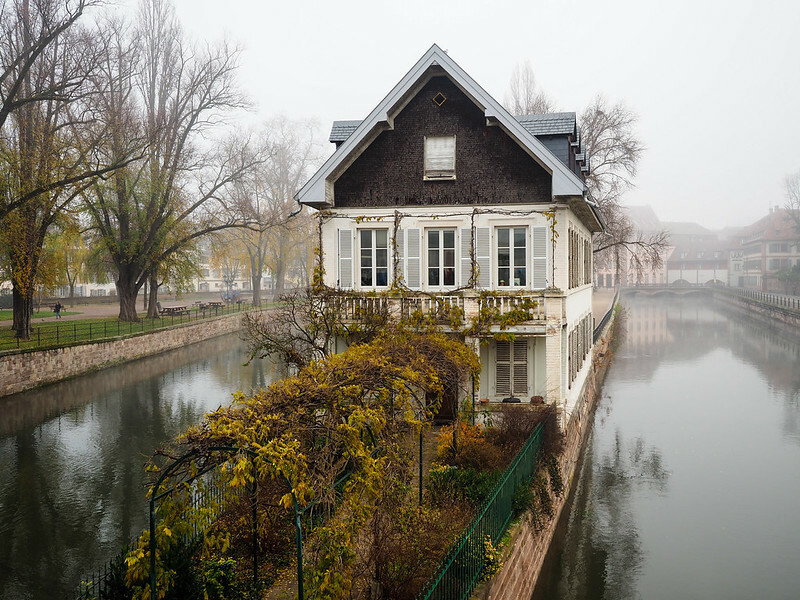 We've all seen the commercials interspersed in episodes of Downtown Abbey on PBS: those tranquil ads narrated by a soothing British accent, starring a Viking longship sailing down the Danube in Budapest or some other picturesque river in Europe. Well, there's no better time than the present, people. 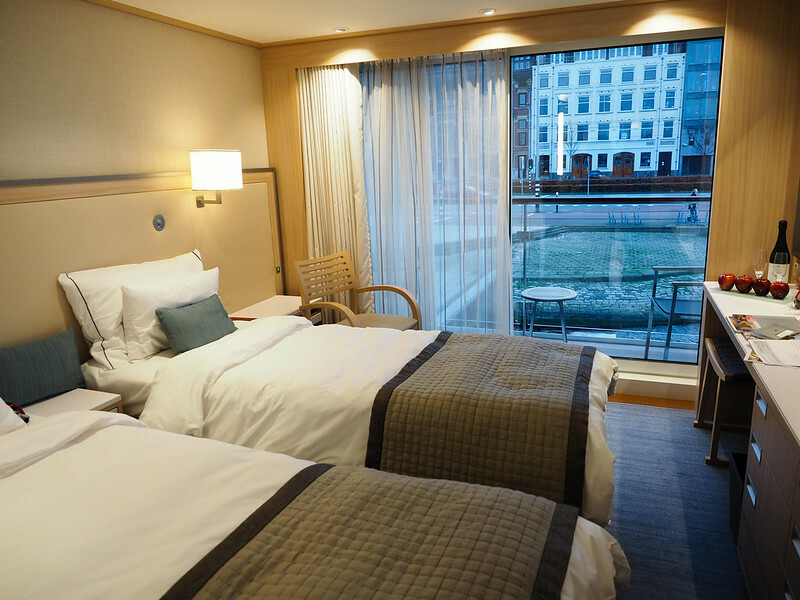 I'm not really new to river cruising – my partner Elliot and I went on our first river cruise in April 2015, when we sailed down the lower Danube through Eastern Europe – but I still get a little flutter when I see those Viking commercials. Everything about river cruising appeals to me: the small ships, the port stops every single day, the fact that just about everything is included. And, of course, the luxury of unpacking a suitcase in a cozy state room and not having to re-pack it until the end of the cruise. 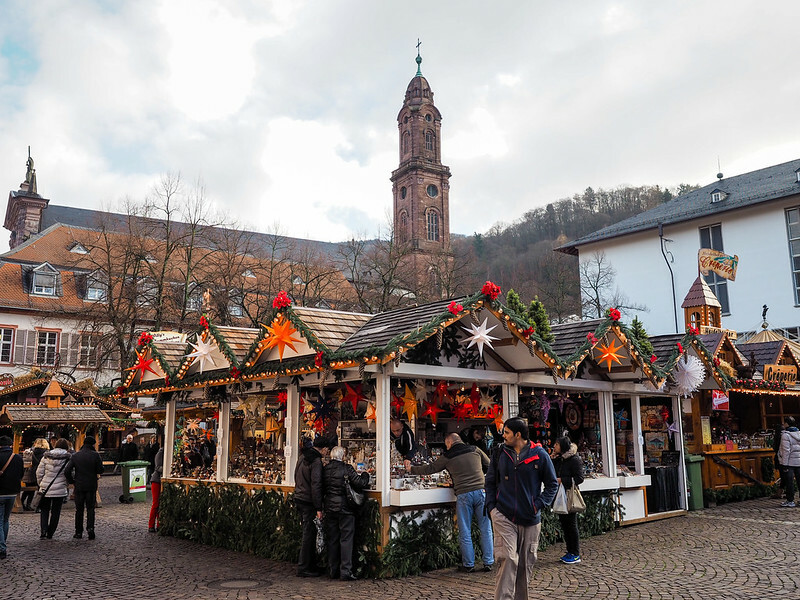 So when Viking River Cruises contacted me inviting me to check “visit Christmas markets in Europe” off my bucket list last year, I just about leapt at the chance. Not only would it mean a river cruise down a new river in Europe, but it was also going to be in December, when European cities deck the halls, streets, and everything in between for the holidays. I ended up going on Viking's Rhine Getaway, which sails down the Rhine between Amsterdam and Basel, making stops in both Germany and France. You can book this same cruise at any time of year, but in December the focus is almost entirely on the region's Christmas markets. Before going on this cruise, I had a hunch that a river-based tour might be one of the best ways to visit a lot of different cities and Christmas markets in a relatively short period of time. And I think I was right. 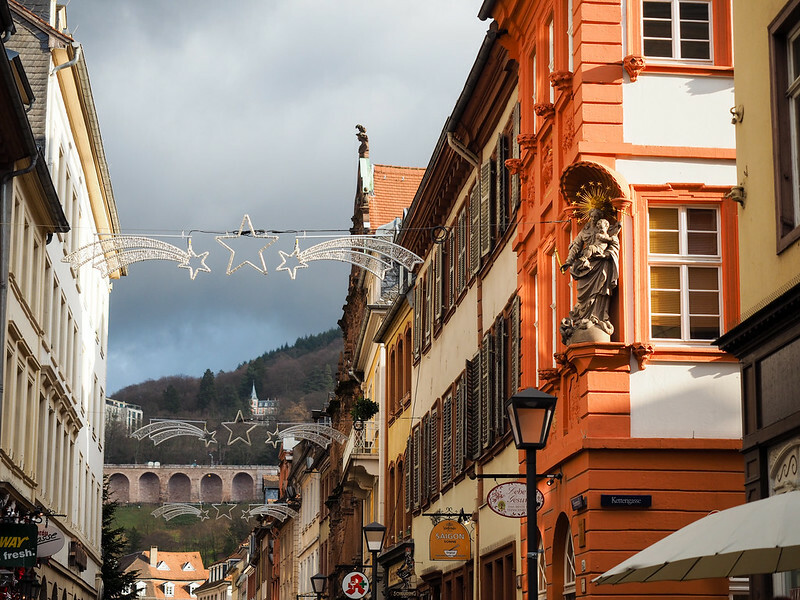 Read on for answers to some of the most frequently-asked questions about sailing on a Christmas market cruise with Viking River Cruises. 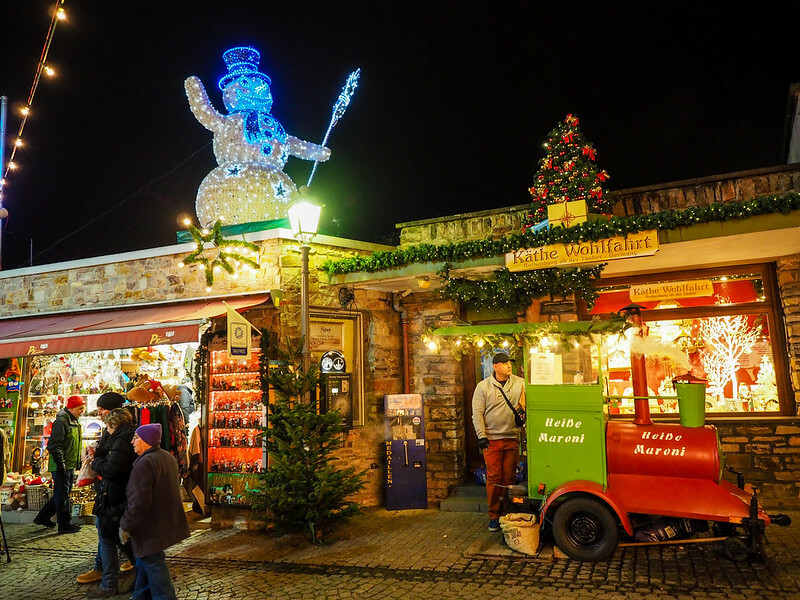 How is a Christmas market river cruise different from a regular one? Like I mentioned above, you can book Viking's Rhine Getaway cruise at any time of year. 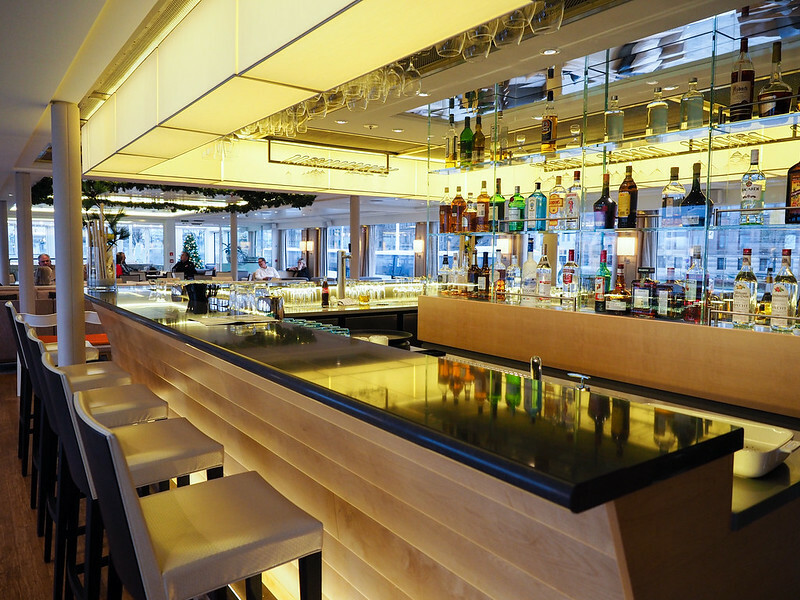 The cruise sails between Amsterdam and Basel, with multiple departures each month. In the weeks leading up to Christmas, however, the itinerary focuses on the Christmas markets that Europe is so known for. The itinerary doesn't change, though, and the tours offered in each port city don't change in December, either. But your guides will point out all the Christmas markets in the city for you to explore during your free time, and that's what most people end up doing. On board the ship, you'll enjoy festive activities like tree-trimming and gingerbread house decorating, and warm drink options will usually include mulled wine. On my cruise, our program director even did an intro to European Christmas markets on one of the first nights, giving us a brief history lesson and suggestions on what to buy in each city. The atmosphere in most European cities around Christmas is already so festive that Viking doesn't really have to do a whole lot to create a “Christmas market” cruise itinerary. What are the cruise highlights? 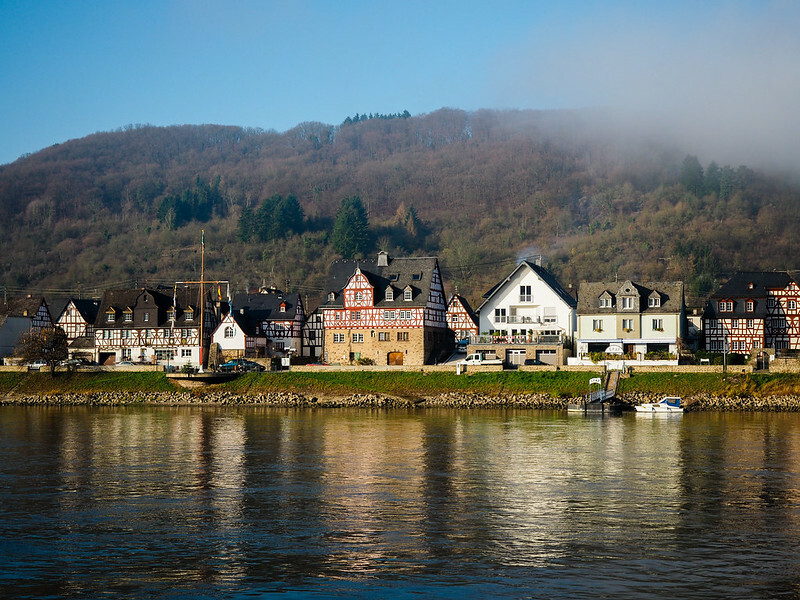 The Rhine Getaway cruise sails down the Rhine, the busiest river in all of Europe. Port calls are almost all in Germany and France, and you make at least one stop – sometimes two – per day. 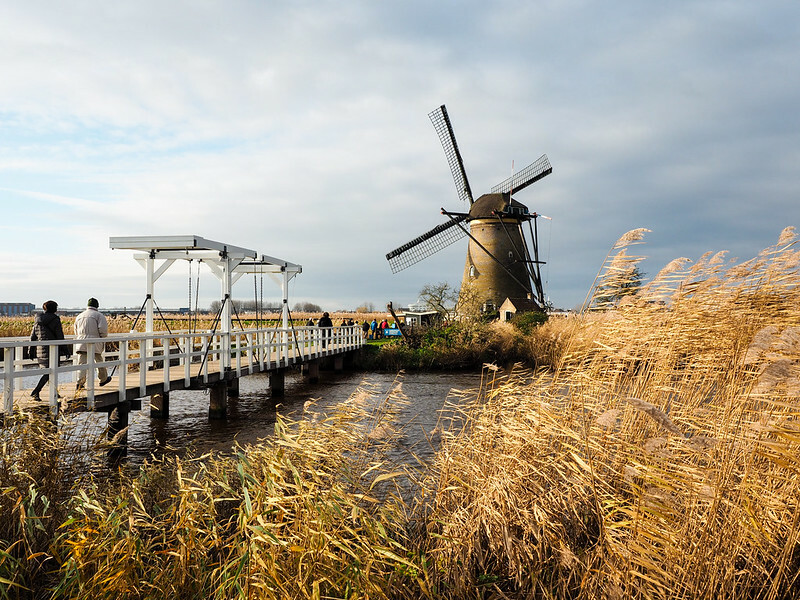 A stop and tour at Kinderdijk to see the famous traditional windmills that help keep the Netherlands above sea level. 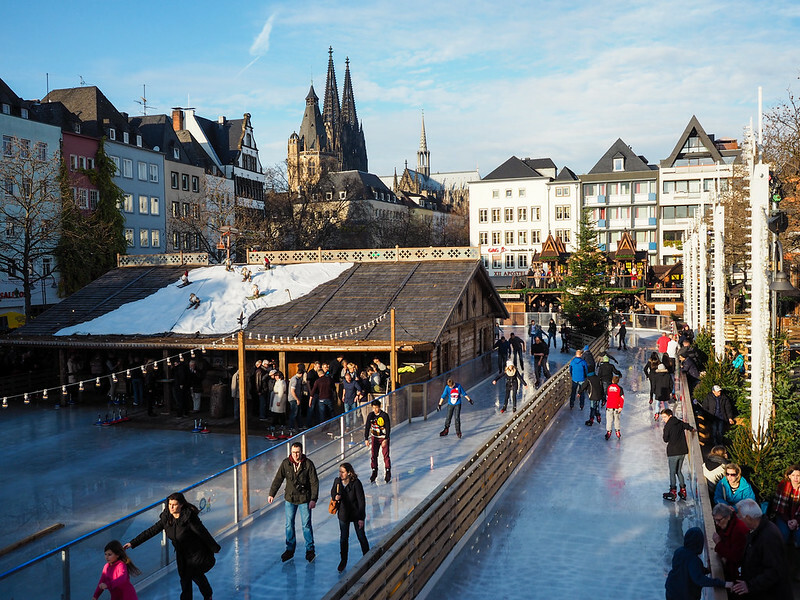 A full day in Cologne to explore and visit the city's eight Christmas markets. Sailing the Upper Middle Rhine for half a day, passing lots of cute towns and hillside castles. 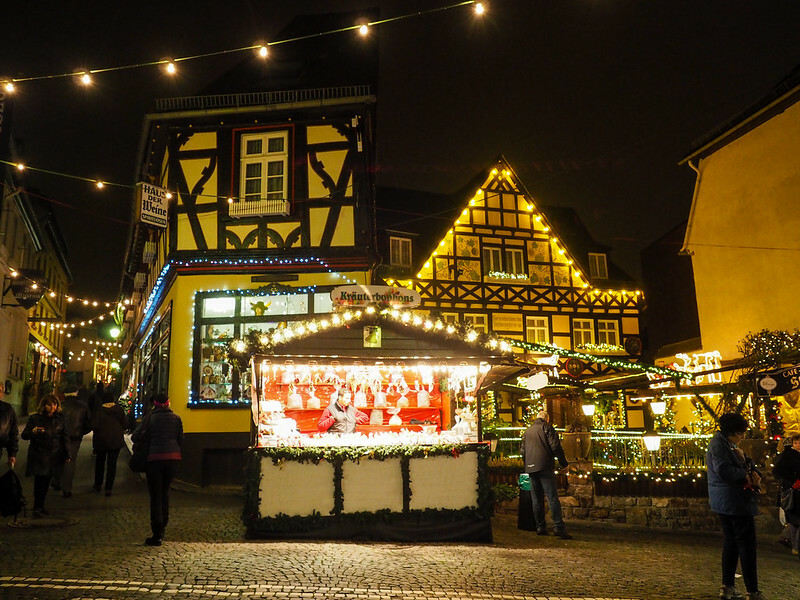 An evening stop in Rudesheim to visit its Christmas markets at night. 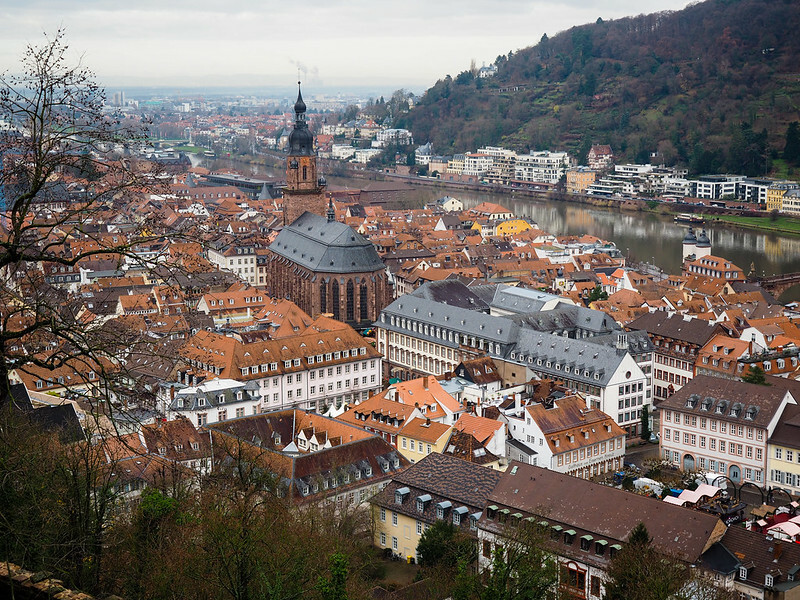 A tour of Heidelberg that included a visit to the city's half-ruined castle. Wandering around gorgeous Speyer, with its huge cathedral and adorable Christmas market. Finally visiting the Alsace city of Strasbourg. 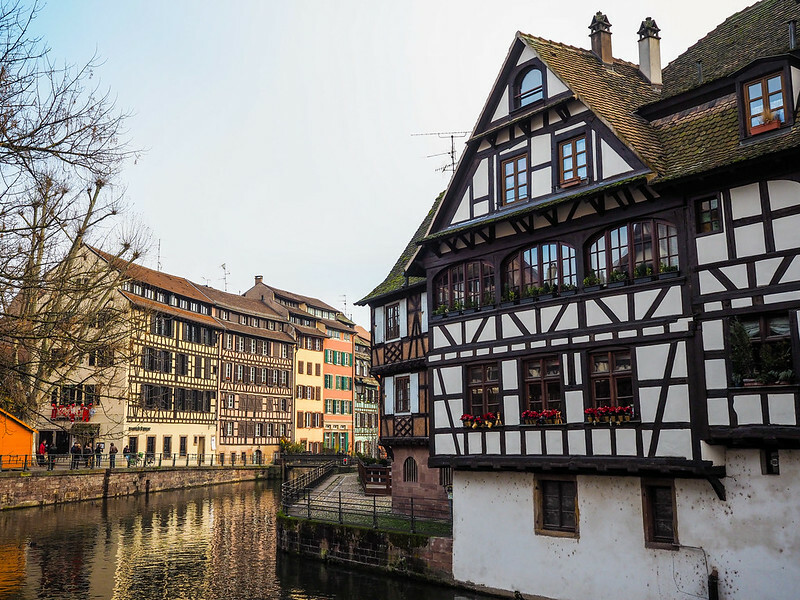 Optional tours to Freiberg, Germany and Colmar, France. In each port there was usually an included bus/walking tour of the city with a local guide, and then some free time. There were optional extra tours, too, such as a beer hall crawl in Cologne, and a music-filled traditional dinner in Rudesheim. You could sign up for some, all, or none of the tours – there was also always the option to explore entirely on your own, which was made easy by the fact that the ship was usually docked within walking distance of a city center. I was 100% dedicated to visiting as many Christmas markets as possible on this cruise and consequently was racking up 20,000+ steps each day on my Fitbit, but for some who have done Christmas market cruises in the past (many Viking cruisers come back again and again), they opted for more relaxing days. Who goes on Viking River Cruises? Speaking of those Viking cruisers, there's a common belief among people who have never been on a river cruise that they are mostly “for” an older crowd. And while there were lots of older couples and groups of friends on my Christmas market cruise, there was also a fairly sizable younger crowd, too. There were about a dozen 20-somethings traveling with a larger group from Pennsylvania, and we had a young couple honeymooning on the ship, too. After two river cruises, I've also gleaned that river cruise passengers tend to be extremely well-traveled. 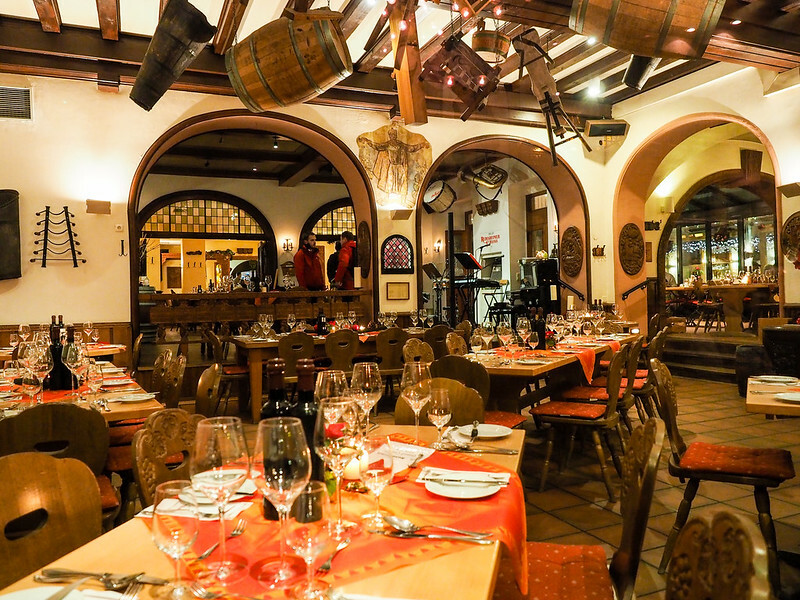 Most of the people we chatted with at meal times regaled us with stories of trips to just about every corner of the world, making for some fascinating conversation. 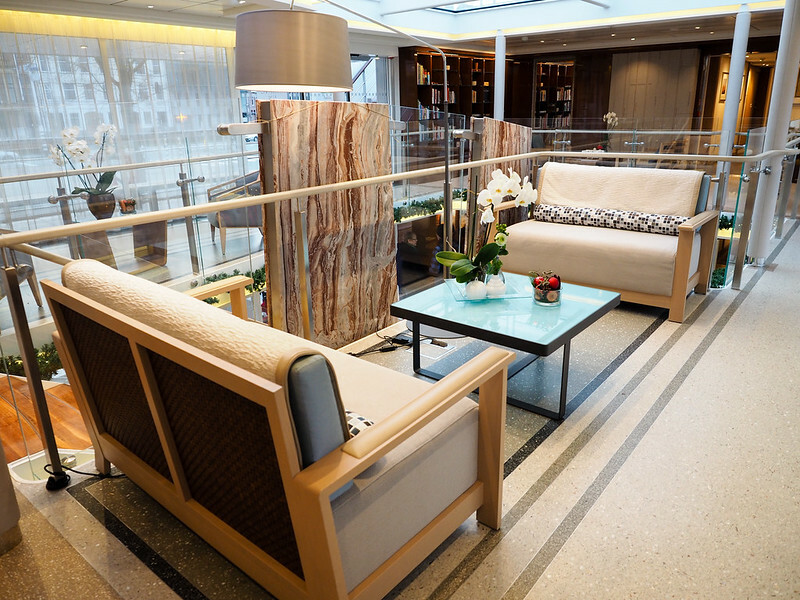 Viking River Cruises is a Scandinavian company, and the design of its ships reflects this. Clean lines and neutral colors are the norm. The ship I was on was the Viking Idi, which holds just under 200 passengers. The state rooms are built with function in mind, with either two twin beds or one queen, depending on how you're traveling. The bathrooms are small but incredibly space-efficient, and our room also had a veranda big enough for two chairs. My favorite feature in each room, though? Two different types of wall outlets – one to fit European plugs and another for US devices! Beyond the state rooms, the ship had a large and comfortable lounge with a bar, a small library, one main restaurant, and one terrace at the front of the ship where they served buffet-style meals.On the top deck was a sun deck with a walking track and a couple of small putting greens. It also had two coffee stations at the entrance to the lounge, meaning you could bet on always having access to coffee, hot chocolate, and fresh cookies. What is there to do on the ship? Here's the thing about a river cruise: since you sail right into cities, you're not actually meant to spend a ton of time on the ship. That's why you won't find a theater or casino or any of the things you'd find on a large ocean liner. Elliot's mom and I took advantage of just about every minute of time we had off the ship, meaning we were usually only there for meal times and maybe a couple of hours in the evenings. For example, we barely used our balcony at all. If you DO spend more time on the ship, though, there are a few things to do. Nearly every afternoon there was some sort of activity in the lounge (many times involving food and/or alcohol), and there was some form of entertainment just about every night. This entertainment ranged from local musicians coming aboard to perform to trivia nights. Don't want to hang out in the lounge? The state room TVs came equipped with a selection of movies and TV shows that you could watch for free. We felt compelled to start re-watching Downton Abbey, and also watched a pretty cool documentary about Vikings before bed each night. How often do you stop? River cruising in Europe is great because so many cities are built right ON the large water ways. This means that getting to/from the main attractions is really easy in many ports. 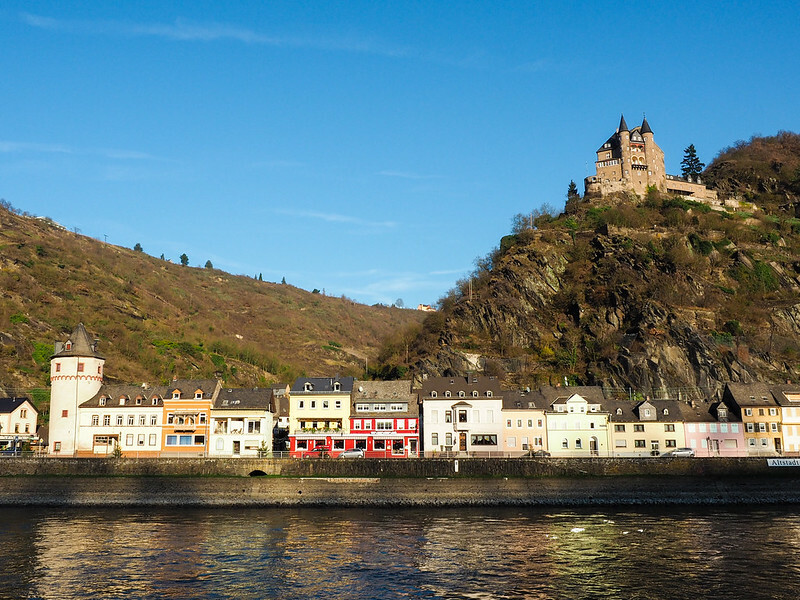 On the Rhine Getaway itinerary, we stopped somewhere at least once a day. A couple of days we stopped somewhere in the morning, and then met up with the ship somewhere else in the afternoon. It's really quite incredible how they plan the itinerary and excursions so precisely. In about half the ports you could walk off the ship and directly into the city you were visiting. In the other half, buses had to pick us up at the river and transport us into a city if it wasn't on the river, or if it was on a smaller tributary to the Rhine (i.e. places like Heidelberg and Strasbourg). In Speyer, you could walk right from the ship into town. But we had to get bussed to Strasbourg. How much free time you end up with in each port totally depends on what you decide to do. There's a free tour offered in just about every city, and on this itinerary they are often walking tours. I LOVE walking tours in cities I've never visited before, because they usually give you such a great overview of the city's main sites and history. In this case, the guides would also point out all the Christmas markets that we could visit on our own. 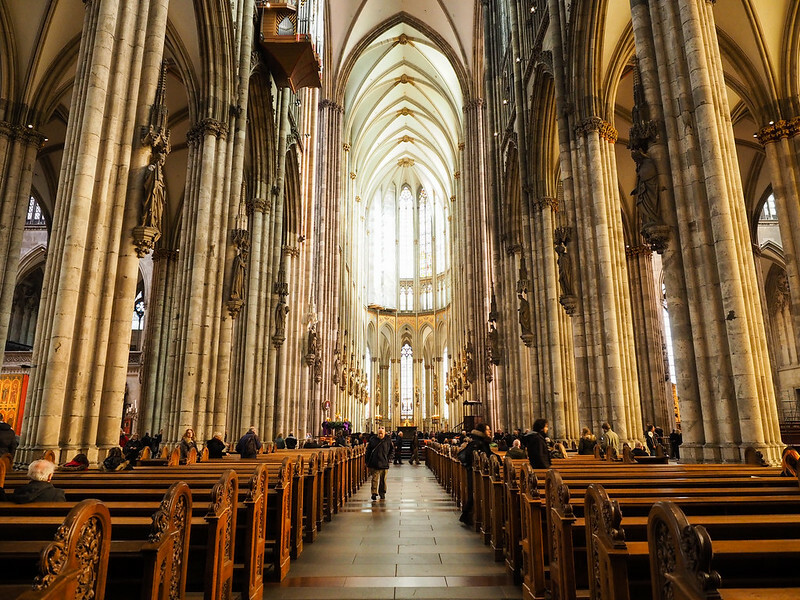 Our walking tour in Cologne included a visit to the magnificent Cologne Cathedral. And then in our free time, we went to a bunch of Christmas markets. Even if you do every walking tour, though, you still end up with free time. 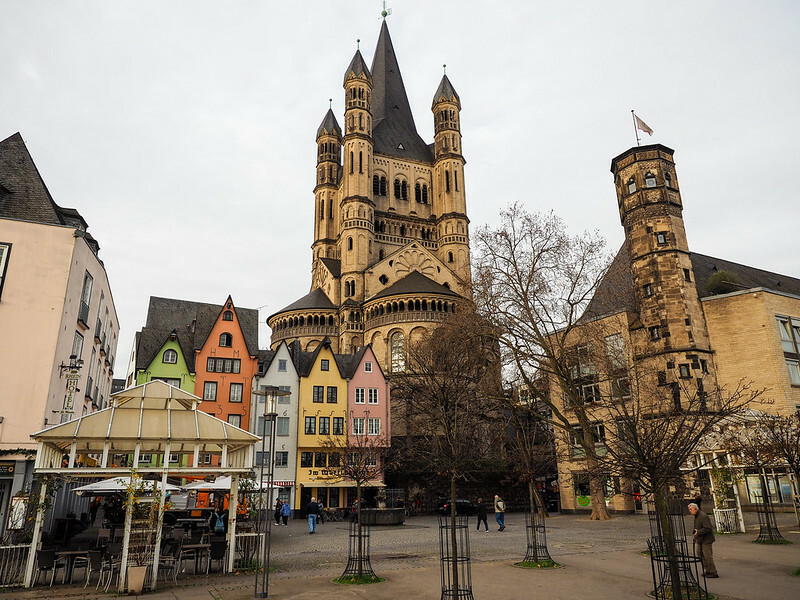 The amount of free time varies – for example, we had an entire free day in Cologne, and only about 4-5 hours in the evening in Speyer. But, in most cases, I didn't feel rushed at all. 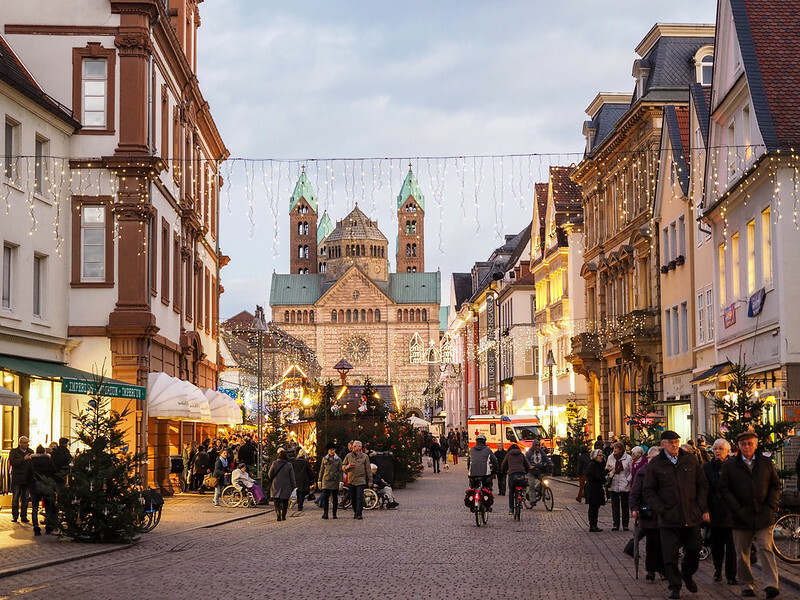 Many of the places we visited for a couple of hours in the evenings (like Rudesheim and Speyer) were small enough that you could easily wander around the city center and grab a gluhwein in about an hour. 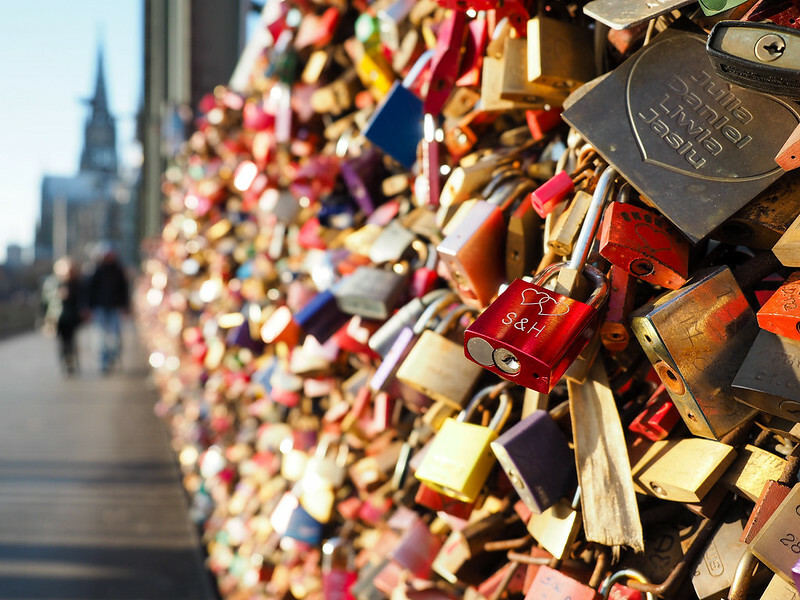 In Cologne, we also used free time to see the love locks on the Hohenzollernbrücke railway bridge. In Rudesheim, a couple hours was plenty of time to visit the markets at night. In fact, in at least one case I felt like we had too MUCH time. 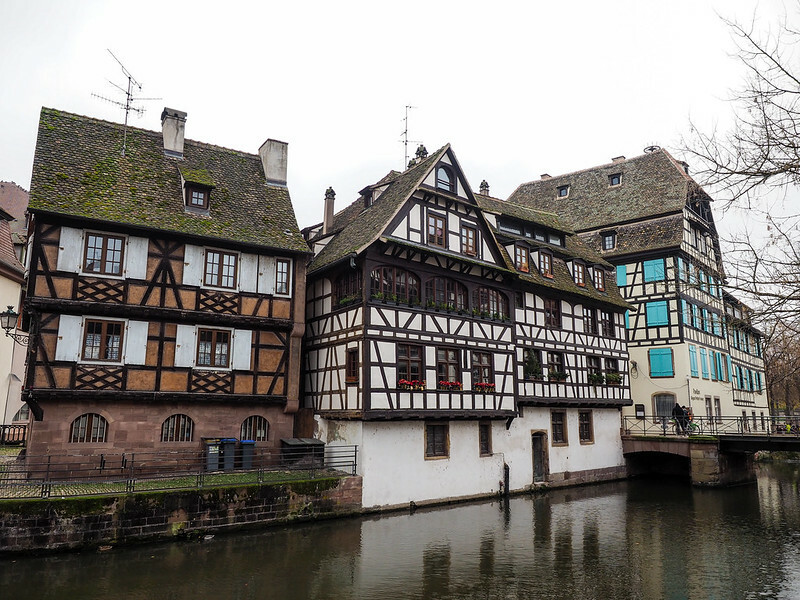 Our day in Strasbourg necessitated a bus ride into the city since the ship can't sail there, and we were given three departure times to choose from later in the day. We assumed we would go for the latest departure back to the ship at 5 p.m., but found we had actually seen everything we wanted to (and were absolutely frozen) by about 2:30 p.m.
And, of course, if you skip all the guided tours and just go off on your own, you end up with lots of free time. A big question people ask about river cruises is what you get for the money you pay. And the answer is: a whole lot. Just about everything onboard is included: your room, the service of the incredible staff and crew, all your meals, and even wifi. There's usually one included tour in each port, too, and everything surrounding those tours (guides, transport, and a QuietVox system so you can listen to your guide through headphones) is included, as well. The only things not included are alcohol and soft drinks outside of meal times, and any optional tours you might want to sign up for. It's also up to you to leave additional tips for the awesome staff and crew at the end of your cruise. Like this optional tour to Colmar. What about before and after the cruise? Viking makes it really easy to put together a stress-free vacation – they'll even book your flights for you if you want! For most of their cruises, they also offer pre- and post-cruise add-ons that can extend your time in a destination. For the Rhine Getaway, you had a choice of a pre-cruise program in Amsterdam, and post-cruise time in either Basel or Lucerne, Switzerland. We didn't opt for any pre- or post-cruise tours, but did end up arriving in Amsterdam a day early and staying in Basel one extra night (hello, more Christmas markets!). 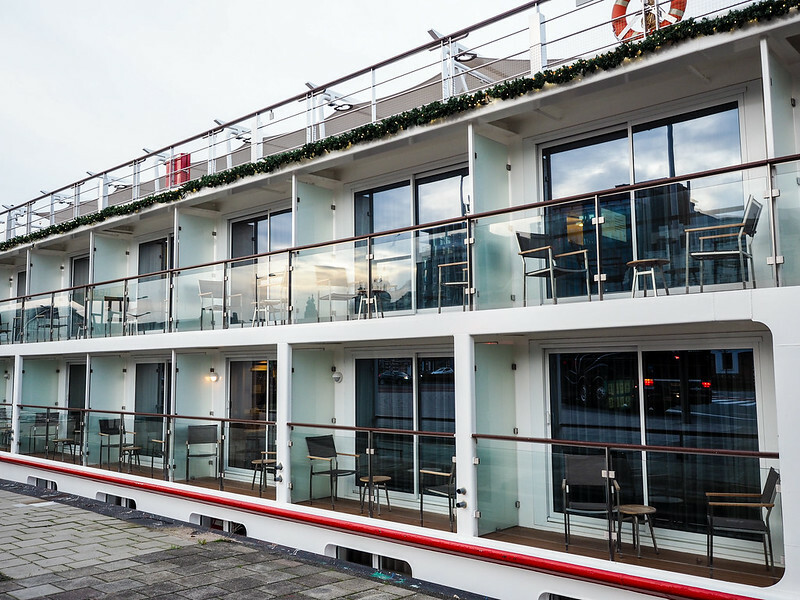 We ended up booking Radisson Blu hotels in both Amsterdam and Basel, and found out upon getting to both that Viking also uses those hotels for their passengers – very good taste, Viking! Basel's huge main Christmas market. There are a lot of things I really like about river cruising, from the small ships to the freedom to sit wherever you want at dinner. But the thing that impressed me the most was definitely the Viking Idi's staff and crew and how seamlessly everything seemed to run. Even though I'm sure plenty of stressful things happen behind the scenes, you would never know it. Everyone was always friendly and professional, and you felt like they really cared about your trip. It was the little details that stood out – the bottles of water they would pass out as you left the ship in the morning; the dining room staff remembering what I liked to drink at dinner, even when I was at a different table; and our program director personally pushing an older gentleman's wheelchair around port cities when his wife got too tired. THAT is amazing, above-and-beyond service. And the logistics… how they managed to get 190 passengers off and on the ship each day (sometimes multiple times per day) without a hiccup was astounding. Should I go on a river cruise? My answer is definitely YES. River cruising is becoming so popular – and with popularity comes more and more options catering to all sorts of interests. 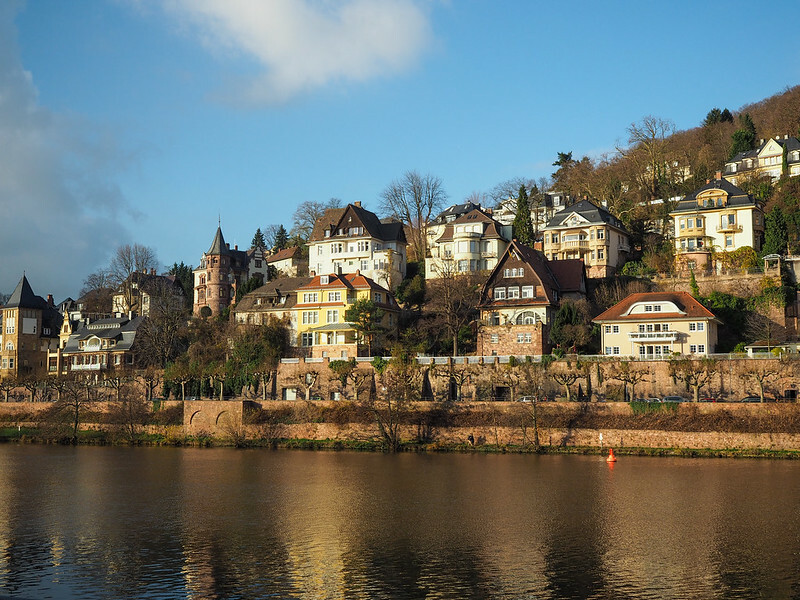 I loved the Rhine Getaway itinerary because there was a lot to see and explore – I did SO much walking! And going around the holidays made it even better. And if you're worried about price, definitely sign up to get Viking's special offers sent to you – they're always having great sales. In the past couple of months, I've seen free airfare, 2-for-1 deals, early booking discounts, and more. So if you've always thought river cruising was too expensive for you, have another look. 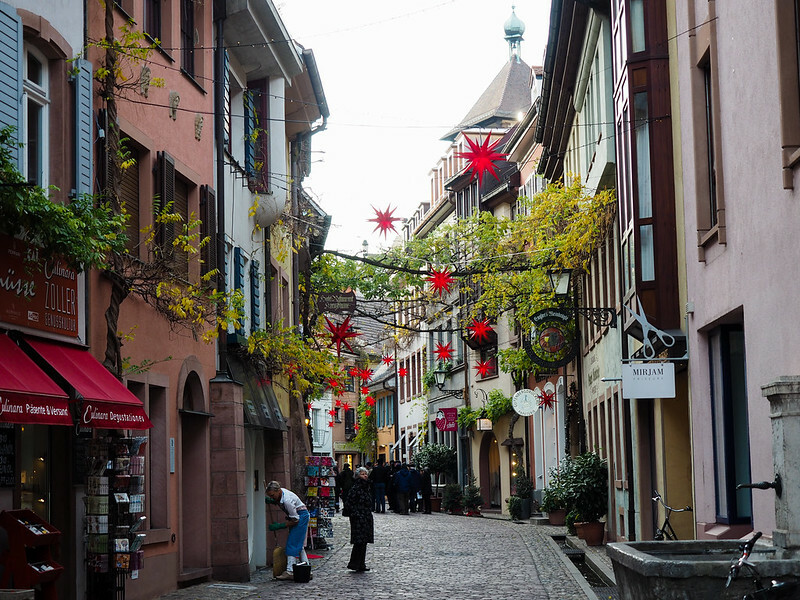 The Rhine Getaway, for example, starts at around $2100 per person for Christmas 2016. Looking for packing suggestions for your river cruise? Head over to my river cruise packing guide to see all my favorite travel gear! Pick up a good Europe travel guide before you go. What other questions do you have about Christmas market cruises, or about sailing with Viking? *Note: Thanks to Viking River Cruises and Radisson Blu for hosting us on this trip. As always, all opinions (and way too many souvenir gluhwein mugs) are 100% my own. Gorgeous pictures! I went on a Viking cruise once and cannot recommend them enough. From beginning to end we felt taken care of and like we were part of the family. One year, when the kids are a little older, I’m going to take them on a Christmas market tour. The service really is top-notch! I would definitely go on another one! Hi Amanda, I’ve heard from a couple of people that the river cruises really focus on looooong mealtimes. My husband and I love to cruise, but haven’t gone on a river cruise because we’ve heard about how dinners seem to last a really long time. That’s just not our style… Have you found this to be true? I’d really love your honest opinion. We usually had breakfast in about 30 minutes and lunch in under an hour. Dinner in the sit-down dining room did last longer, but I don’t think we were ever at our table for longer than two hours. Dinner takes longer because it’s multi-course (at least three courses), and we often ended up chatting with our table mates long after we’d finished dessert. I have to admit I’ve never thought about taking a river cruise, even though I see them passing through Frankfurt all the time. I suppose I’ve always assumed that they’re for a more elderly crowd – but I guess you’ve proven me wrong! 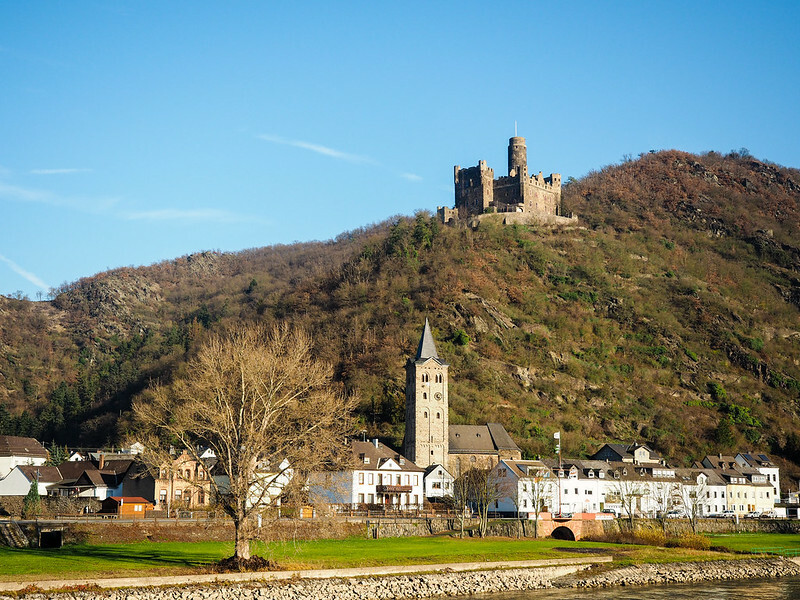 Logistically, it does seem much easier than taking multiple day trips, though, especially if you want to hit up a certain region like the Rhine River Valley – as you did. You know what they say about people who assume things. 😉 But, in all seriousness, I don’t think it will be long before the average age on river cruises drops dramatically as they gain popularity. It happened with regular cruises, after all! And it IS so much easier logistically – you don’t have to worry about figuring out buses or trains on your own, and a lot of the sailing is done at night, meaning you usually wake up already in a new city to explore. I’m definitely a fan! If I had done a Christmas market-themed trip on my own, I don’t think I would have seen nearly as many! Great post! This was definitely very insightful for someone who isn’t part of the older crowd and was a bit concerned about that. I’m glad to hear that there is so much to do each day and that you didn’t feel short changed on time. I think that’s always one of my biggest concerns with tours is that you don’t get to spend enough time at a particular destination. I mean, ideally you probably wouldn’t spend just one day everywhere. But I think it works in this case – especially since I was mostly focused on the Christmas markets, and you could easily visit most of those in just a couple of hours in most cities. Thanks for this great overview! I’ve been seeing those PBS commercials and wondering what the cruises were actually like. I’ve taken one big ocean-liner cruise and didn’t like being stuck on the boat for so long. My biggest question for the European river cruises was how much free time you had to explore each stop and it sounds like a good bit. This is definitely going on my bucket list! Yes, you definitely get more time off the ship on a river cruise! That’s one major reason why I prefer river cruising to ocean cruising! Have you cruised Viking ocean? It is amazing! We did Viking Star 23 days 8 counties from Istanbul, Turkey to Barcelona, Spain. We had tons of free time. This will be our first river cruise. I am so worried it won’t live up to our expectations of the Viking Star. Please put my mind at ease as this is our HoneyMoon. We added extra days before and after. We are traveling Nov-Dec Viking Vidar. We are starting in Basel, Switzerland we will we visiting the Hoffman homestead of my husband great great grandfathers land he bought. It is still in the family and is deeded for all to see and stay at. If you are family. It is a working farm still. We are quite excited for this. We will be in ending in Amsterdam. We are going during the Christmas markets. We are traveling in a group of our family. Decided to do this together. When on the Star we where able to do laundry. What do you recommend for packing? We booked a lot of our tours ourselves. Do you think that will be nessesary? So far I don’t see a lot offered. Do you know when they will post the exact times we will be in port? We are still 100 day out. I have not been on a Viking Ocean cruise, but I have been on two river cruises and loved them both. River cruising is a lot more intimate (the longships usually hold around 150 passengers, which is still significantly less than the Viking Star). And going during the Christmas markets is SO fun – it’s such a magical time to be in Europe! I don’t have any idea when they will post the port times – you may not find out until you get your final itinerary in the mail. And I found that there was a ton of things on offer from Viking on this itinerary – I went on multiple tours (often walking tours) every single day. 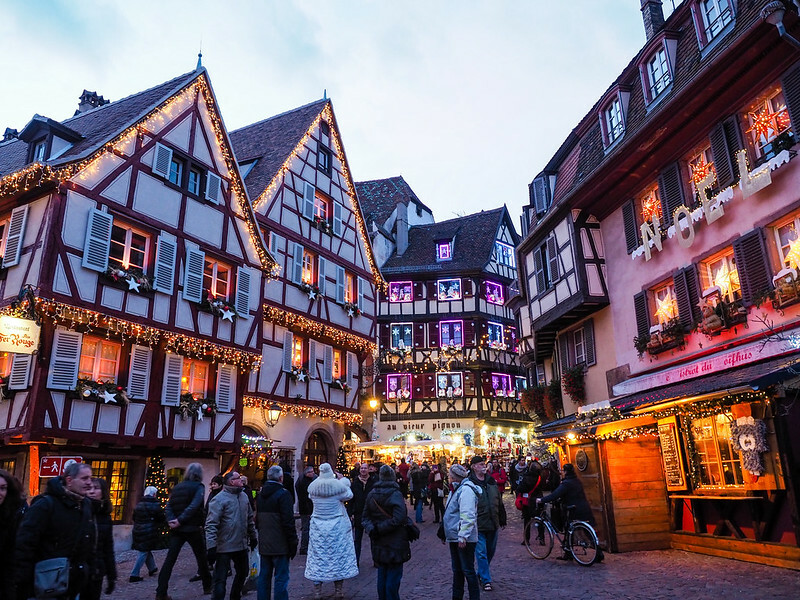 Definitely book the optional excursion to Colmar if you can – it’s one of the prettiest towns at Christmas! I did not book any independent tours because Viking offered so much. But to each their own! As for what to pack, I wrote this post about what to pack for a spring river cruise: https://www.dangerous-business.com/2015/05/what-to-pack-for-a-river-cruise-in-europe/ You’d have to amend it for winter, of course, but you could easily do that by adding some sweaters and a nice winter coat. When I was there in December last year there wasn’t even any snow. I ended up paying extra tip because I got such great service on board, so you may want to factor that in as well in your budget. But having someone who remembers that I drink cappuccino and an orange juice in the morning without me having to tell them is quite fabulous. PS Surprisingly, the drinks at the bar are quite inexpensive. My nightly Aperol spritz was just 5 euros, as was my husband’s very generous serving of scotch on the rocks. Oh yes! I meant to mention the tipping – thanks for reminding me! We left extra tips for the staff and crew, too. Wow, beautiful photography! This river cruise looks like something I might want to plan on my itinerary this year! I would love to visit some more Christmas markets! I also loved your pictures of Kinderdijk! It’s an area I’ve not visited yet (even though I live a 30min drive away) – that’s definitely on my list this year! Oh my gosh, get yourself to Kinderdijk, girl! 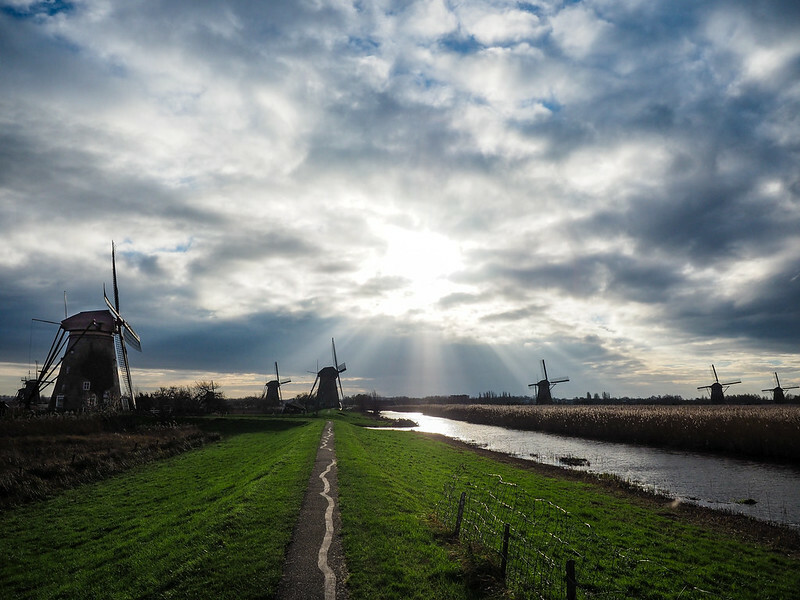 It’s not only pretty, but it’s fascinating to learn about the windmills. This is my absolute dream! I’ve always wanted to go on a European river cruise and I’m obsessed with Christmas so this sounds just perfect 😉 Definitely bookmarking this, thanks for sharing! A Christmas market cruise would be perfect for you, then, Lauren! Awesome and informative post!! I’ve been on several cruises, but never a river cruise, loved being able to learn more. I do have one question- How does the dining work? Do you have an assigned table and sit with the same people every night at the same time? How is the dress code for dining? I saw you mentioned a buffet earlier, are there any other options besides that and the main dining room? Looks like a great time and something I would totally do in the future, thanks for sharing! Hey Shannon! Good question! There’s no assigned seats in the dining room, and the dress code is casual. People do tend to get a bit more dressed up for the Captain’s Dinner, but no suits or dresses are required. I love that you can sit somewhere different every night if you want to, in order to meet more people on board. In the dining room, it’s a traditional 3-course sit-down dinner. The buffet is the alternative option in the lounge for people who don’t want to take as long at their meal. But those are the only to options on such a small ship. They are definitely worth a visit! So cute and festive! I can’t truly judge because I’ve never been to Christmas markets any other way, but I definitely loved seeing them by river cruise! 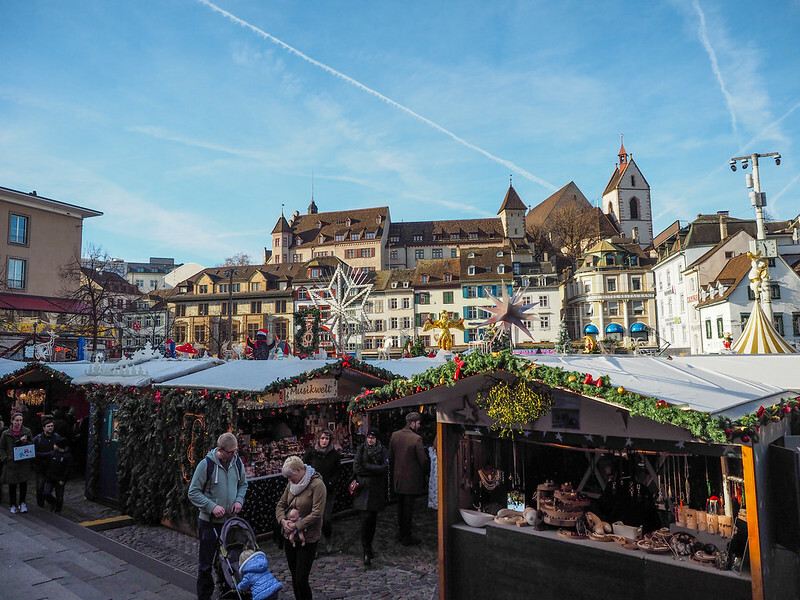 Sampling Christmas markets around Europe via a river cruise sounds like so much fun! Not a big fan of sea cruises, but this type of cruise sounds way more appealing. Yes, the river cruise experience is completely different! I’ve been on ocean cruises, too, and definitely prefer river cruises! Thanks for your article. We are contemplating the christmas market cruise and given the air temperature, I am wondering if you ever sat out on the balcony in your room. I am wondering if it’s worth it to spend extra when it’s so cold out or should we just get a room without. Speaking of that, how cold was it? How did you dress when you were out exploring? I appreciate your answers as I have only lived in warm weather places! To be honest, we didn’t really use our balcony much at all. There was one day when we were sailing through some pretty scenery that we sat outside, but we mostly sat up on the sun deck. The temperature can be a bit volatile – some places we went it was in the 50s (F), and other places it was in the 30s. You’ll definitely want some warm layers! There was no snow when I was there, though, so I left the snow boots at home. I really love all of your river cruise posts Amanda! You have absolutely converted one young person (and I’m sure many more) to being excited about river cruises, and I really can’t wait to try one someday. I especially love the idea of going during Christmastime! Awesome to hear, Kelly! There are so many different river cruises to choose from these days, too – lots of options in lots of different countries! We went on a Viking Christmas market cruise too, but ours went from Budapest to Nuremberg…would have been nice to finally meet! Quite a few bloggers were Christmas market cruising this winter, but I think we all missed each other by a day or two! Hope you guys enjoyed your cruise as much as I did! Did the shortened days bother you?? It seems from looking at the sunrise, sunset times, that there are only about 8 1/2 hours of daylight in December. We are booked on the Christmas Market Cruise down the Danube in December. Didn’t really bother me at all! Still plenty of daylight for exploring. Plus, some of the markets are even better when they’re all lit up at night! We’ve been on two wonderful Viking Christmas Market river boat cruises and are looking for another one to take. We have made two Christmas trips on our own but neither came close to comparing to the Viking trips! We got to see more markets and learn more about the cities we were visiting. The ship’s crew always went out of their way to make us comfortable and to see that we were enjoying ourselves. Even though the temperatures were low, we would come “home” to hot drinks and cookies to tide us over to time. You really can’t beat that Viking service! I would definitely go on another Christmas market cruise. Amanda, the Christmas Markets in December will be my 2nd Viking Cruise. They are the best. Your information is very helpful, thank you. What I’m trying to find out is information about the optional tours. On my last cruise I think I overbooked myself so I’m trying to be more selective in my choices. Thanks in advance for any information you can provide. 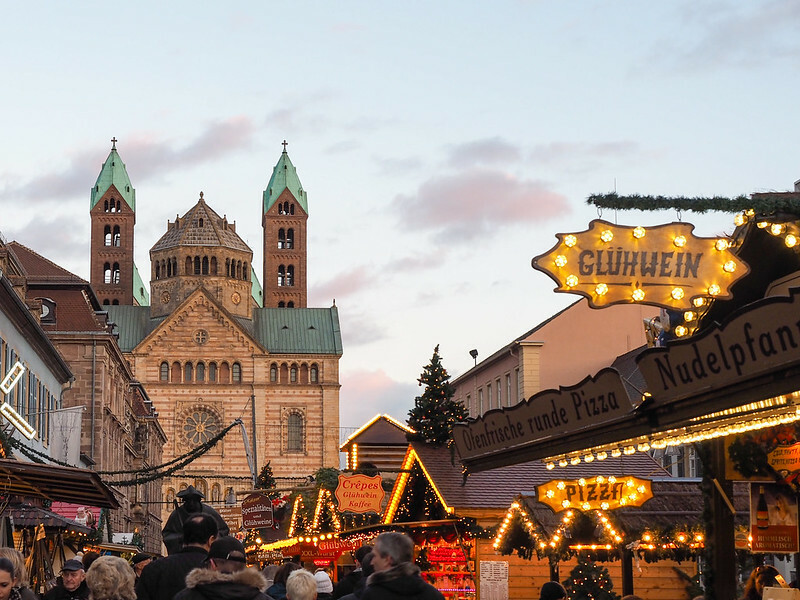 I’ve had the Christmas Markets on my radar for some time now, but as a full time teacher, I have to really plan my vacation time to jive with the tour dates of a river cruise. This is still a few years off, but I WILL go on one of these! They look so wonderful. SO worth it if you can make the dates work – it’s one of my favorite times to be in Europe! Hi Amanda! My husband and I are contemplating a river cruise and it is much easier for him to get time off from work in December so the Christmas Markets may work out great. That being said, if you had to pick would you opt for a warmer season? I’m not much for cold weather and am a little hesitant. I really, really loved the Christmas market cruise I did! (But, then again, cold weather doesn’t bother me too much, and I love all things holiday-related!) It wasn’t all that cold the year I went (there was no snow, and it was usually in the 40s/50s F most days), but there always *could* be snow in that part of Europe in December. I liked the uniqueness of visiting Europe around Christmas, and would definitely do it again. My mom and I went on the Viking Mekong cruise that bookends from Saigon to Hanoi, with 8 Days on the river and 4 Days in Seim Reap where Ankor Wat temple complex is. Absolutely wonderful! And warm. Off ship they put you in Hotel Sofitel’s which are first class all the way. My parents have been on the Baltic cruise and just did the Danube cruise in August. They had lovely times on both. My neighbors just did the Rhine river and loved it. You’ll have a great time no matter what you pick. Thank you Amanda for all the Wonderful info. We are leaving on Nov. 30th 2017, doing the Rhine River Christmas Cruise on long ship Eir. Your detailed info & pictures have us really excited and we can’t wait to experience all of it! Thanks again for taking the time to post, it is truly Appreciated! You are very welcome, and I hope you have a fabulous trip! 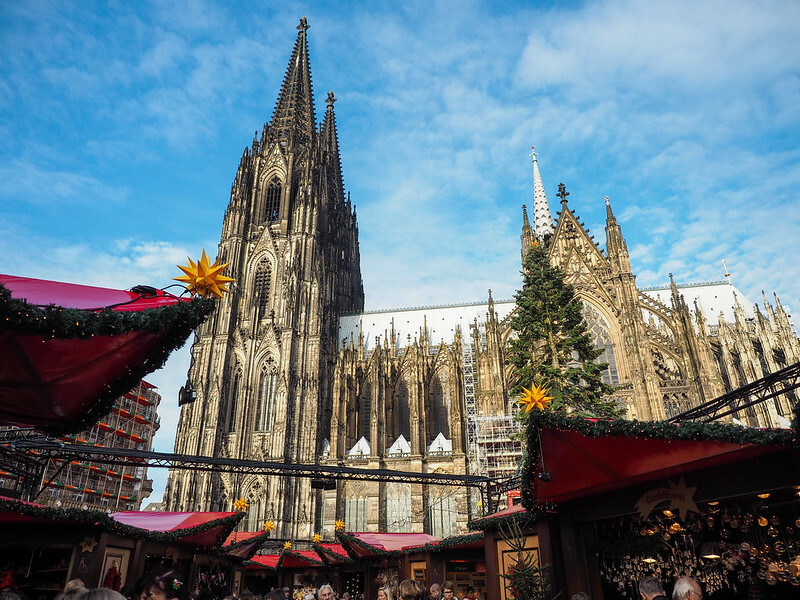 Hi Amanda, I noticed that Viking had a specific Christmas in Germany river cruise but it sounds like your trip had plenty of opportunity to visit Christmas Markets. Besides the location, do you know what is different with that trip compared to yours? It looks like it’s just a special itinerary that includes a lot of the major market cities in Germany, meaning more opportunity to visit Christmas markets. But I still loved the cruise I did – just about every city we visited had Christmas markets at that time of year anyway! Amanda what kind of clothes should we bring? Are people really dressed up in the evening? My husband and I are planning a Christmas market cruise. People don’t tend to dress up too much in the evenings, so you won’t need formal wear or anything. I would bring good walking shoes/boots, and warm layers since the weather could get chilly. Your insights about the cruise are great. We are leaving on same cruise on Nov 25. 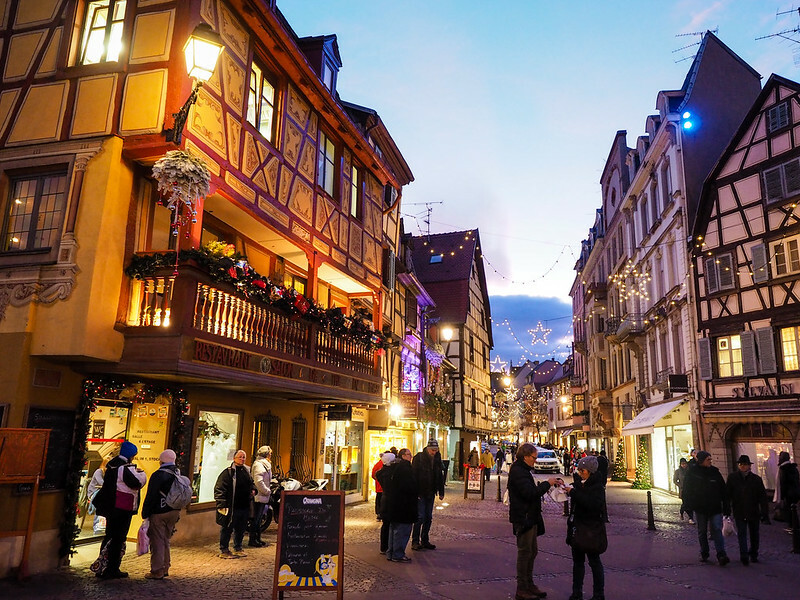 We are considering the optional wine tour in Alsace but aren’t sure if we will have enough time to visit the wonderful markets in Strasbourg which we heard were the best. And possibly the pub crawl in cologne and dinner in rudenshhein (although I read a comment or two that said it was a bit ‘hoaky’. Any thoughts? 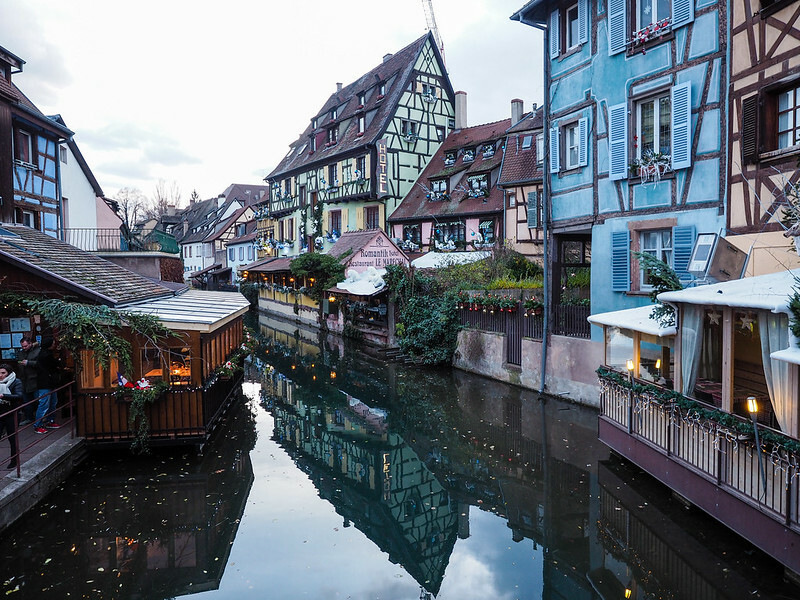 We definitely want to go to Colmar…is it worth going with Viking or can you do on your own? We have traveled quite extensively. Thanks in advance. We appreciate the info. We didn’t do the wine tour because I also wanted to be sure to have enough time in Strasbourg! As for the markets there, I didn’t think they were all that great, to be honest. (Then again, I was there 2 years ago when that part of France was on high alert after terrorist attacks. A few days before we arrived, they arrested one of the Paris bombers in Strasbourg, and there was a pretty strong military presence in the city – so that may have affected the markets that year!) I actually thought the Cologne markets were the best. I enjoyed the dinner in Rudesheim. It was a bit kitschy, but still quite fun. 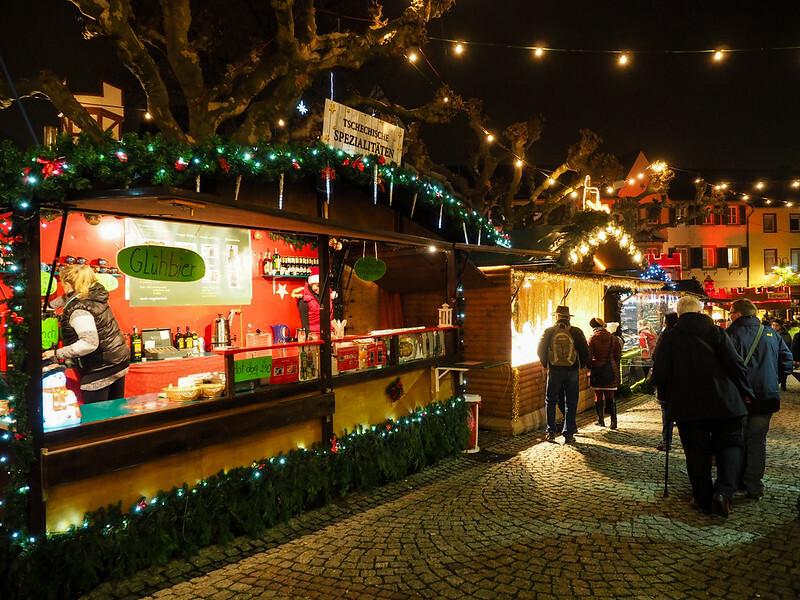 If you don’t do the dinner, be sure to go check out the markets in Rudesheim at night anyway! And as far as Colmar, definitely go! We went on the excursion Viking offered since it was the only way to visit during that cruise. I’m not sure if that’s changed at all (i.e. if you have the option to visit on your own), but it’s definitely worth going one way or another. Amanda, this is a great review! I have done this cruise earlier this year and am now picturing it all decked out for Christmas.. I am heading out on the Christmas in Germany cruise on Thursday [yup, trading turkey dinner in for Christmas markets and fire cooked wurst] and was wondering what you might suggest for spending cash. Will be doing some light Christmas shopping, and souvenir buying, but am clueless about prices at the markets. It totally depends on what you might like to buy – I mostly came home with mugs (which you get for 2-3 Euro when you buy a gluhwein or other hot drink) and ornaments, most of which cost less than 10 Euro each. I have been on the Rhine Getaway and it really covers it. My wife and I did it spring time and the day on the boat seeing all the castles is something that wasn’t even on my radar as something to do. It was incredible and something I won’t forget. Taking a bunch of family on the Danube Waltz on Christmas and this was great information. What a lot of beautiful sites to see. and during this time of year why wouldn’t you want to book a viking river cruise. I would have jumped at the opportunity as well. I am always looking for the best river boat cruise available. This is going on my 2018 bucket list for sure! Just thought I’d mention if you do the Amsterdam to Basel river cruise leaving Amsterdam after Dec 22 there will be few Christmas markets still open after Dec 23. So if it’s the markets you are going for make sure you leave early enough. Yes, most markets end after Christmas!